304 pages | 98 B/W Illus. "… my congratulations to the editors and authors. All chapters are well illustrated with charts, drawings and photos, and end with a list of over 800 relevant references and rounded off with a comprehensive index. The result is an overall highly recommendable book … ." Introduction. Legal Situation of German Chamomile. Plant Sources. Active Chemical Constituents of Matricaria Chamomilla L. Syn. Chamomilla Recutita (L.) Rauschert. Cultivation. Abiotic and Biotic Stress Affecting the Common Chamomile. Raw Plant Material and Postharvest Technology. Processing of Raw Material. Storage of the Dry Drug. 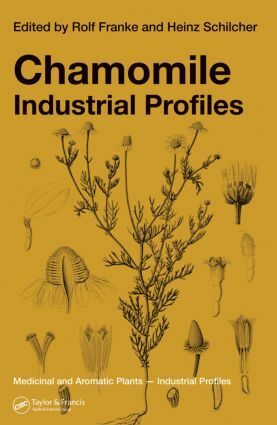 Chemical Analysis of the Active Principles of Chamomile. Pharmacology and Toxicology. Traditional Use and Therapeutic Indications.